As a family caregiver, one of your biggest priorities is keeping your loved one healthy. However, this can sometimes be difficult to accomplish without some assistance. Fortunately, in-home care in Guelph can make it easier to reach that goal by providing the following benefits for your loved one’s health. Many seniors experience nutritional deficiencies when they have impairments affecting their ability to cook, or they lose interest due to eating alone. An in-home caregiver can help your loved one prepare nutritious meals while engaging in conversations that can motivate him or her to eat regularly throughout the day. Regular exercise is essential for senior health, yet many older adults need assistance with their workout regimen. Whether your loved one participates in chair exercises or needs a supportive arm as he or she goes for a walk, an in-home caregiver can provide help along with encouragement. When a senior takes several different medications, mistakes are more likely to be made. Additionally, those with memory loss may have difficulty remembering if they took their pill. In-home caregivers can help sort pills, watch for side effects, and remind your loved one when it is time to take his or her medicine. Older adults who live alone are often tempted to try to do things that place them at risk for injury. However, most seniors will wait for help if they know a Guelph caregiver will be coming over. By eliminating reasons for your loved one to climb ladders, walk on slippery surfaces, and experience too much exertion, an in-home caregiver can give him or her a greater outlook for better long-term health. As people advance in age, life events such as losing a loved one can make it hard to stay motivated to take measures to protect their own health. Among the most important benefits an in-home care service can provide is the companionship your loved one may need to comply with treatment plans and continue working toward better overall health. 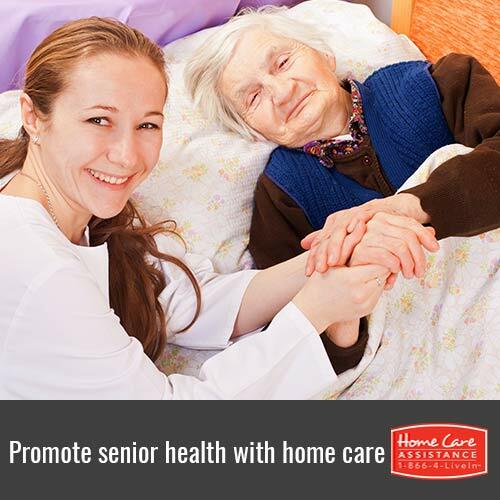 Home Care Assistance is dedicated to keeping your loved one safe and comfortable while he or she ages in place. 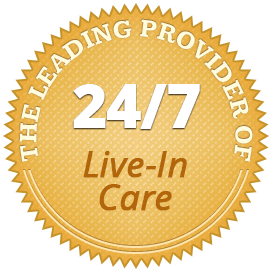 We offer live-in and hourly care in Guelph, and all of our caregivers are trained in the Balanced Care Method, a program designed to promote healthier senior lifestyles through excellent physical health, mental awareness, and inner calm. For more information on our senior care services, please call one of our qualified Care Managers at (519) 954-2111 to schedule a free in-home consultation.